When you have a damaged tree or a tree that is endangering your home, you will want to address it quickly. Often times the trees can be restored but when they are too damaged, they need to be removed. So why use a professional tree removal service? Why should you not just get out the saw and start cutting down the tree yourself? Trees are massive, heavy and if not taken down properly could lead to serious injury or damaged property. 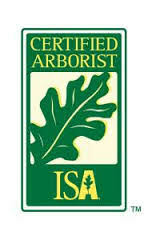 Arbor Wise Professional Tree Care provides the professional service you need to get the job done and done right. How much does it cost to remove the trees from my yard or property? Usually the service will be covered by your insurance. The projects can vary on complexity and size of the trees. You can contact us for a free quote.